Romans 3:22-24: This righteousness is given through faith in Jesus Christ to all who believe. There is no difference between Jew and Gentile, for all have sinned and fall short of the glory of God, and all are justified freely by his grace through the redemption that came by Christ Jesus. 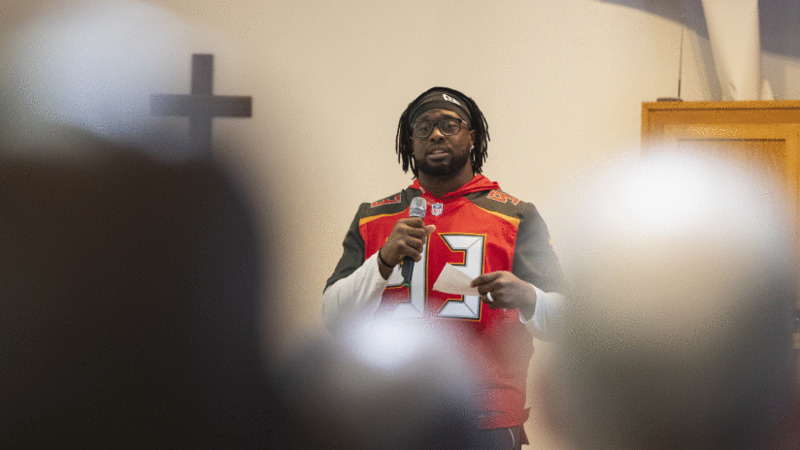 That was the opening message by Buccaneers defensive tackle Gerald McCoy as he addressed a crowd of inmates at Zephyrhills Correctional Institution on Tuesday. Though his life circumstance drastically contrasted from the men he was speaking to, he was there to tell them they weren’t so different in the eyes of God. 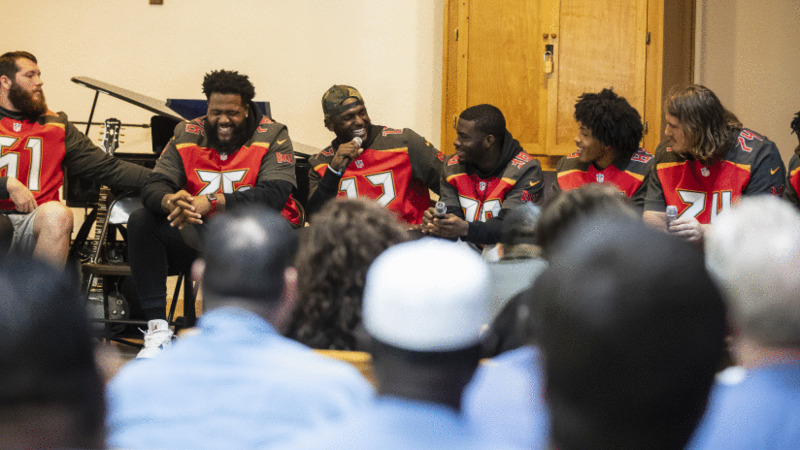 Several Buccaneers players joined McCoy in support of the Abe Brown Ministries Prison Crusade, aiming to give encouragement and uplifting messages through the Christian gospel to inmates at the facility. 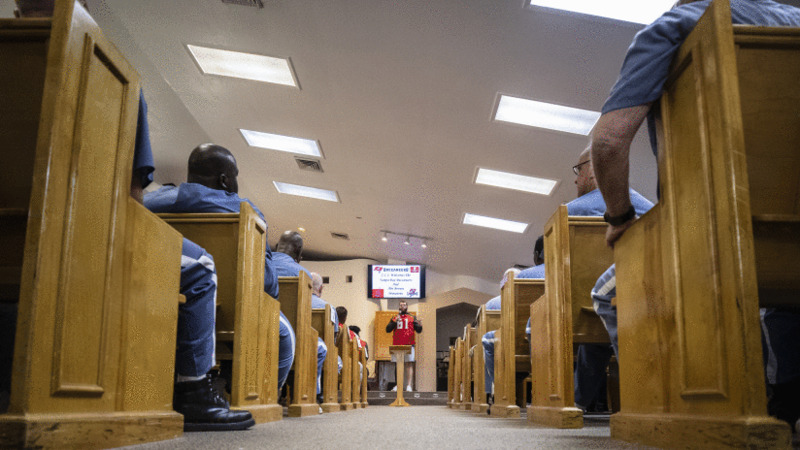 Players and inmates alike shared their testimonies and how faith plays a role in their lives, however different they may be. 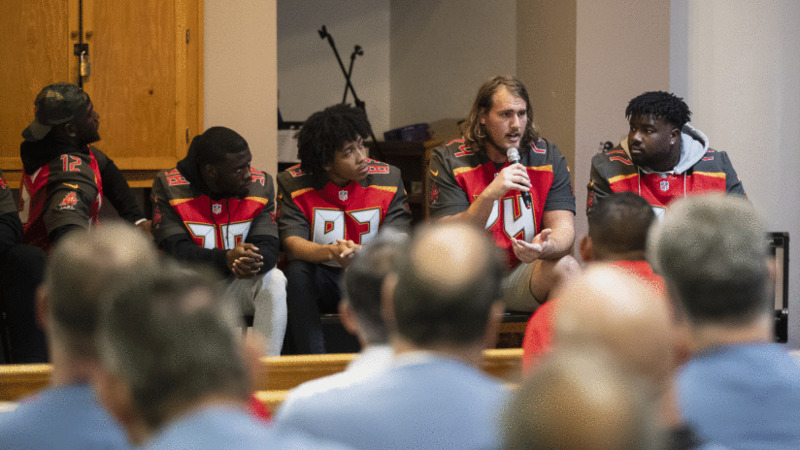 The visit was part of the Bucs’ player-led Social Justice Initiative and the final event of the 2018 season. 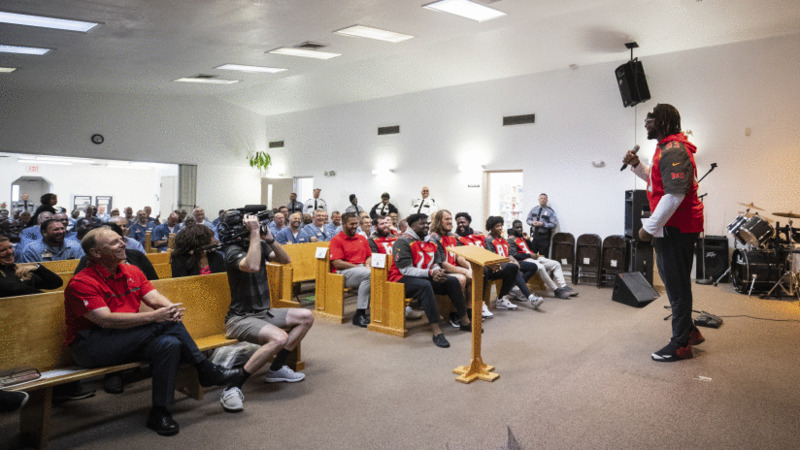 Upon arriving, players were escorted into the chapel where over 100 inmates had gathered. They were received with thunderous applause and loud cheers as the jersey-clad athletes made their way up the center aisle to the front pews of the sun-lit room. In front, there was a raised stage where nine inmates stood with instruments, ready to lead the congregation in song to start the service. McCoy sat with perfect posture, listening intently to a song that echoed words of redemption. Many players tapped their feet and nodded their heads with the music. By the time the band had moved on to the next song, some players had even taken to singing along. It was a moving rendition of a popular gospel song and each player seemed more affected than the last. 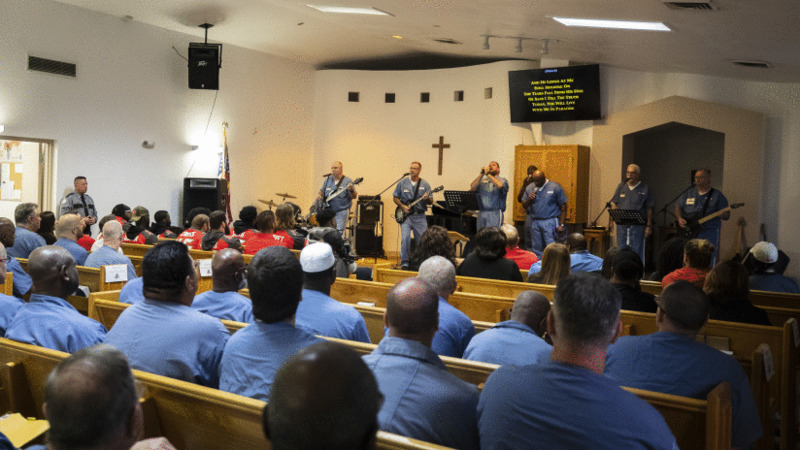 Following McCoy and Wester were two inmates who shared their stories of how they came to be in the room that day. Both acknowledged that it was their choices, but not their character, that led them down the wrong path. One man made a comment that resonated with many of the players; he was more at peace in prison than he ever was out of it. “When Ronald got up and said that he had more peace inside than he ever had outside puts things into perspective of what a true relationship with Christ can do for your life,” McCoy said. Things got a little less heavy from there. 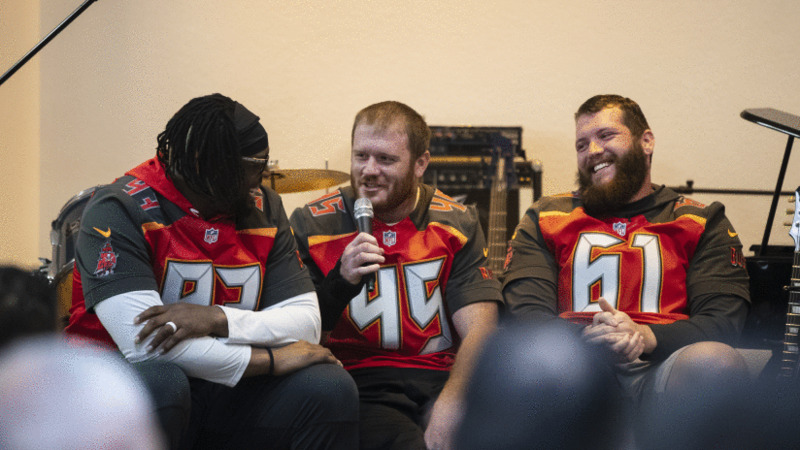 Buccaneers Team Chaplain Doug Gilcrease led a question-and-answer segment, where the guys talked about everything from their recent causes for the My Cause, My Cleats Campaign, to what they like to do in their spare time. Tight end Alan Cross apparently likes to cut grass, in case you were wondering. The banter went on as players and inmates laughed at the light-hearted conversation. It capped off a session that brought a lot of perspective to the players. 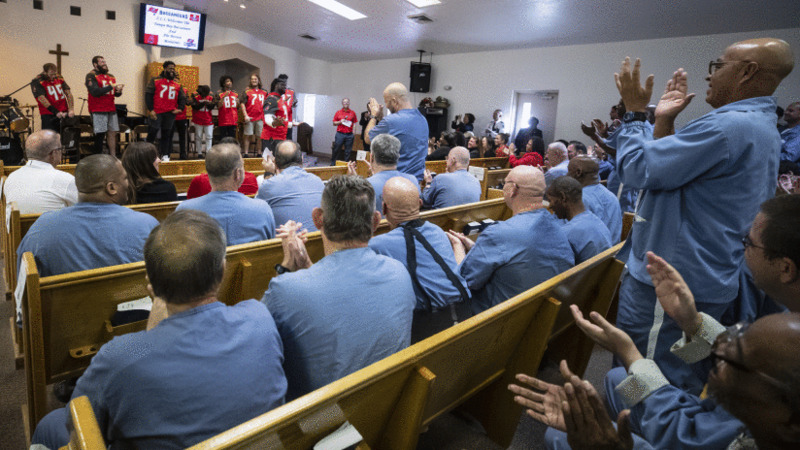 The Zephyrhills Correctional Institution is home to 440 inmates, currently. It is what’s considered an ‘elderly’ facility, with most of the men 50 years of age or older serving long-term sentences. Many of the players didn’t know what to expect when going into the compound, but it was Chaplain Gilcrease that articulated their mission well. 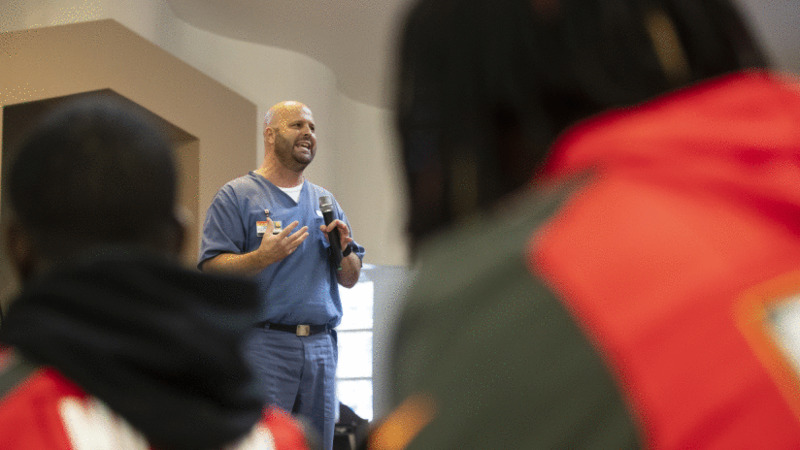 The mission touched on multiple pillars of the Bucs’ Social Justice Initiative. With the visit being the last of the 2018 football season, it was Wester, who has participated in three events, that reflected on the program thus far. 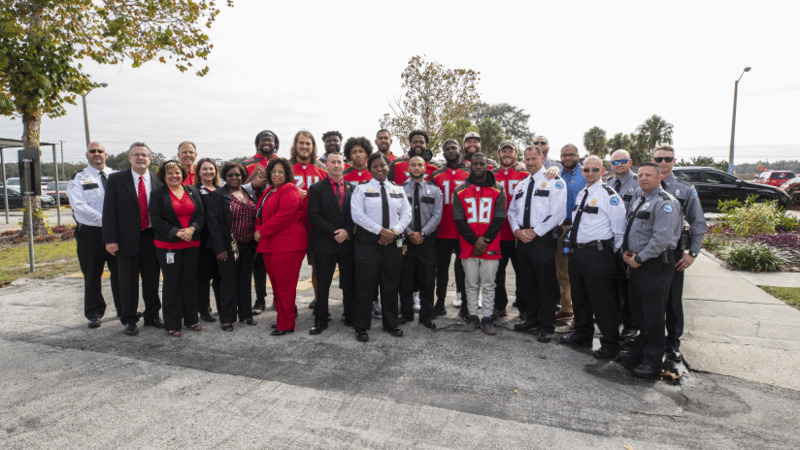 With the holiday season in full swing, the Buccaneers have integrated the Social Justice Initiative with existing events and plan for more community outings in the months to come.